Preschool Crafts Outdoors: Fun in the Sun! Preschoolers love the outdoors! Nothing is better for them, then when the beautiful sun is shining and the weather is gorgeous. Taking your students outside to explore preschool crafts outdoors is always a fun way to spend an afternoon! The first preschool crafts outdoors project we are going to explore is the Summer Time Collage! Give your students an allotted amount of time to explore the beautiful outdoors. Ask the students to collect a variety of items that remind them of summer time. This may include flowers, grass, and leaves. Allow the students to bring their items into the classroom for the second part of the craft. Supply your students with a large piece of paper. Ask the students to tape, or glue their summer reminders onto their page. Title the craft “Summer Time Collage." Now even in the winter students can be reminded of the wonderful summer to come! A fun outdoor craft is what we call “Paint Swatters." This is a fun project for students of all ages. If possible, bring a large art easel outside. Tape up a large piece of durable paper for each student to use. Have the students dip the fly swatter into the paint trays. Then ask the students to pretend there is a fly on their paper and swat the fly! This craft is a lot of fun for students and even teachers too! 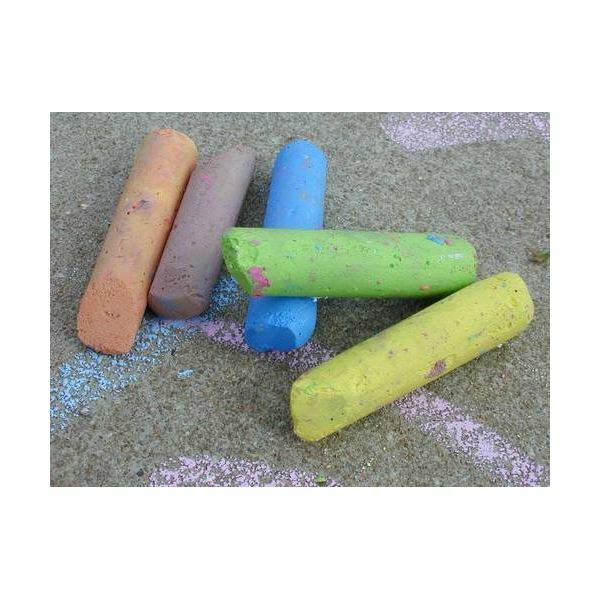 If you are having a bright and sunny day, bring your students outside for a chalk drawing afternoon! The only materials you will need are chalk, students, and the sun! Have your students stand in the sun to cast a shadow on the sidewalk. Ask another student to trace their peers shadow for them. When the students shadow is traced allow them to draw facial features, and even clothing on their shadow figures! This crafts allows students to spend an afternoon outdoors while learning all about shadows! Another very simple preschool craft project is "Faded Sun Art." Provide each student with a piece of colored construction paper. Ask the students to lay out items on their paper neatly. These items could be cutlery, shaped objects such as stars, hearts, etc. Often times cookie cutters work great for this craft! Leave the students paper and items outside in the sun until the sun fades the color of their construction paper. When the students remove their items from the page they will have permanent reminder of the item that was placed there. This always tends to amaze students that the sun can do such a neat thing! Preschool crafts outdoors are guaranteed to be a hit with your class. Preschoolers love to be outside. Preschoolers love to play outdoor games and love to create crafts! Let your students' imagination and fun go wild and spend the afternoon outdoors!